Iron Box or Iron is the primary need of the house because every one of us would like to wear clothes that are properly ironed. Without ironing, clothes look bad due to a lot of creases and wrinkles. Many of us get our clothes ironed from an ironing shop but that is not possible sometimes when we are in hurry or we don’t want to give our costly clothes to shops for ironing. In these situations, if you have an iron box in your home, it will be helpful. Moreover, nowadays most of the people prefer to iron their clothes themselves which increases the importance of iron boxes in the houses. In this article, we will talk about different things about Irons so that you will have more knowledge about it, and that will help you make a clever decision to choose the best iron box. 1 What is an Iron Box? 4 Which one should you buy? What is an Iron Box? 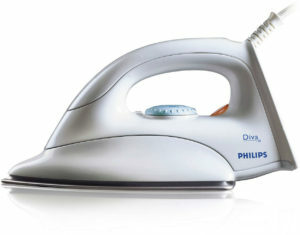 Iron Box is also known as “Iron” or “Clothes Iron”, “Press”, etc. It is an equipment in a triangular shape (not the perfect triangular though) made of metal that when heated, is used to press clothes to remove the creases. Its name is after the metal used for making it, which is Iron. However, nowadays, different metals can be used to make it. But, in early days it used to be made of Iron, thus it got the name “iron” or “iron box”. Use of the heated metal to iron clothes is supposed to be happened in China in the 1st century BC. Moreover, the first electric iron was made by Henry W. Seeley on 6th June 1882. It was quite heavy i.e. around 15 pound, and it took a long time to heat. And, the early electric irons have no feature of controlling the heat which was quite dangerous. Later in 1920, first thermostatically controlled iron was made. Later, in 1926 the first electric steam iron was launched, and the credit goes to Thomas Sears. When we talk about Iron boxes, two types are very popular; Dry Iron and Steam Iron. Moreover, in the old days, different forms or iron boxes were used. One of those is Charcoal Iron which you can still see in the street ironing stalls. It doesn’t need electricity but it takes a lot of time to heat it up using charcoal. Dry Iron is actually the old and traditional version of iron which is still being used in houses. It is said “dry” because it has no feature of sprinkling water or steam. You just plug and wait for it to get heated. When heated, you can press your clothes using it. You can get a list of 5 Best Dry Irons in India here. 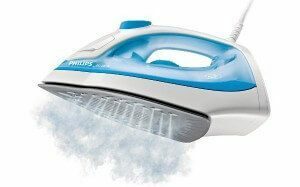 Steam Iron is an iron box that has all features of Dry iron with an additional steam feature. You must have seen people sprinkle water on the clothes before pressing because it quickly removes the creases. But, as the technology has grown, a water tank is added to the irons, and that produce steam while ironing making it easier to press clothes quickly, and removing creases is so easy. It is the best iron box type for pressing cotton clothes since they get a lot of wrinkles after washing. 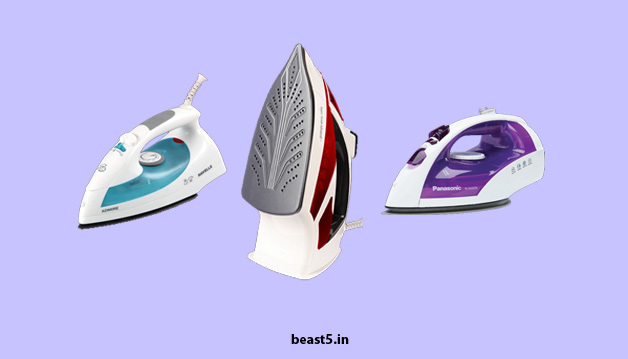 You can get a list of 5 Best Steam Irons in India here. Charcoal iron is an iron box made of iron that needs no electricity but you have to put charcoal within the box, and burn those. So, that they generate heat which heats up the iron, and then you can press the clothes using it. This is a traditional iron box, and if you are not careful, you may get stain on your clothes since the soleplate is of iron which needs to be cleaned before pressing the clothes. 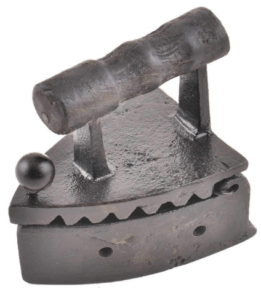 IndianShelf handmade iron is a charcoal iron box. Iron Type: As we already have discussed that there are mainly two types of irons, Dry and Steam. However, Charcoal irons are still in use as well. So, you must have to keep this into consideration to choose the one you require. Soleplate Type: Soleplate is the main part of the iron since it is what touches your clothes. So, it must be good otherwise your clothes may be burnt or stained. There are few types of Soleplates available in India, Aluminum soleplate, Non-stick soleplate, Ceramic soleplate, etc. Generally, we don’t recommend Aluminium soleplate because this slides on your clothes with a bit of friction which is surely not good for clothes. Also, they become sticky after some time of use. Look for non-sticky soleplate while buying since they are good and the cost is low as well. Moreover, you can also choose ceramic soleplate but that will be a bit more expensive. Wattage: This is an important factor to consider because the more wattage an Iron box has, the faster it heats up. For example, Usha Steam Pro SI 3417 steam iron has 1700-watt, and thus, it would hardly take much time get heated up. But, when you have an iron box with less wattage such as Bajaj DX 7 1000-Watt Dry Iron is of 1000 watts, gets heated a bit slower than Usha steam pro. But, Bajaj DX 7 is equally a great iron box for home use. 1000 watt is quite fine. Bajaj DX 7 is one of the best dry irons in India. However, the more wattage gives faster heating. So, if you are someone who hates to wait, go for higher wattage iron box. Moreover, different clothes have different requirements such as cotton clothes needs more heat to be pressed well whereas silk or polyester clothes need less heat. So, it is not that the less wattage irons are bad rather it depends upon the requirements. One more thing you should consider that more the wattage, the more power it consumes. That simply means a higher wattage iron box takes more electricity which increases your electricity bill. That is why high wattage irons are recommended mainly for the ones who are into ironing business since they have to press a lot of clothes every hour. For home use, less wattage iron is more recommended since it takes less power. However, it takes a bit extra time to heat up. Variable Heat Settings: You must consider this because normal Irons have low, medium and high settings only but the good iron boxes have temperature settings that suit to your fabric. For example, you will see fabric names on the regulator which you can set as per the cloth you are going to iron. 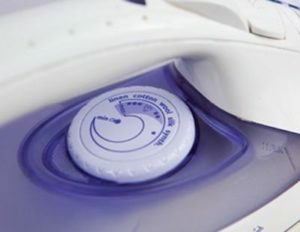 Drip Protection: If you are buying a steam iron, you must consider whether the iron box is drip protected at low temperatures or not. Because some steam irons may drip water at the low temperature that can make your clothes wet and sometimes it may stain as well. Transparent Water Tank: In the case of steam iron boxes, water tank should be transparent so that it is easy to check how much water is available in the tank. Vertical Steam ironing: Some of the steam iron models produce steam when they kept upright. 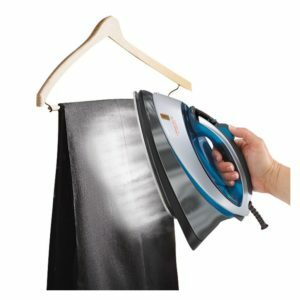 This helps you use the iron as a steamer to remove wrinkles from the clothes on hangers. Cord Length: The cord length must be considered while buying because a shorter length cord makes things difficult while ironing. I think around 2.5 -3 Meters cord length is more than enough. However, you should check this as per your need. Iron Box Weight: This is another thing that needs to put into consideration because either very lightweight or a very heavy weight iron box is not good because when you use a lightweight iron, you need to apply a lot of pressure while ironing, and when you use a heavy one, you don’t feel comfortable while ironing. So, make sure to get a medium weight iron box for your use. Steam Production: For steam iron box, it is important to consider the steam production feature. Try looking out for the iron that has the option to adjust the level of steam and produces an outflow of steam that helps with stubborn wrinkles. Auto Turn Off: You must buy an Iron box that has auto turn off feature as it allows the iron to turn off when it is left motionless for some time. This saves electricity as well, and it is also safe because at times we forget to switch off our iron box. Now, let’s talk about the Pros and Cons of Dry and Steam Iron. Simple to use since you just need to plug, wait and press. No external heating is required since it works on electricity and gets power from the wire connection. Sometimes a dry iron is not well enough to remove stubborn wrinkles from some type of clothes. If soleplate is not good, it cannot sustain the heat and may leave stain on the clothes in brown colour. Vertical ironing is not possible. It can be used as Dry iron as well when needed. Those stubborn wrinkles which don’t go away with the dry iron can easily be removed with steam iron. Need to recheck for refilling the water tank. If a problem occurs with water tank, your clothes may be wet or even stained. Steam irons are a bit costly. We have shared the factors to consider which are well enough for you to decide which one is good for you. Moreover, we would recommend you go for steam irons because they have dry iron’s features included, and they can be used as dry iron as well by setting the steam option to zero. So, by having it, you can use it as steam iron and dry iron as well when needed. Charcoal iron is not in competition since it doesn’t fit for modern-day houses nowadays. Only a few ironing shops use it to save their electricity cost and earn more profit. The bottom line is, go for Steam Iron since it can also work as a Dry iron. But, if you are not a fan of steam iron, dry irons are also good. Just that steam irons offer a bit more than dry irons. Iron box is the day-to-day need of the household. Therefore, buying one for your house is utmost important. Knowing more about the features and factors is always beneficial to buy the best products online. We hope this guide would help you buy the best iron box in India. If you have got any questions, do write in the comments.